Lately I've had all things baby on the brain, surprise surprise, right?! Ever since I reached the halfway point I've felt increasingly behind on this whole game and like I had a to do list a mile long, mostly because up until that point I kept saying oh let's wait until after 20 weeks, meaning I had tackled nothing, literally nothing, for the arrival of this little one. On one hand, I have until August, on the other hand, I only have until August! And I mean come on I don't want to be waddling around 9 months pregnant wrapping up all the things I could have already gotten done! So we hit 20 weeks and off we went to create our registry, um. . . holy cow, by the way - that's a process in the making. Ours is definitely still in progress. And now it's time to start project nursery. We have a spare room upstairs, across the hall from our master that we will be using as the nursery. Up until this point it has housed all sorts of extra furniture and and stored all sorts of excess. We have managed to clear the room of all the big pieces, now it's just down to the little things. The carpet was also in dire shape so it has mostly been removed. Well we finish getting the room ready to get put back together I thought I would share some of my inspiration for our little girls nursery. 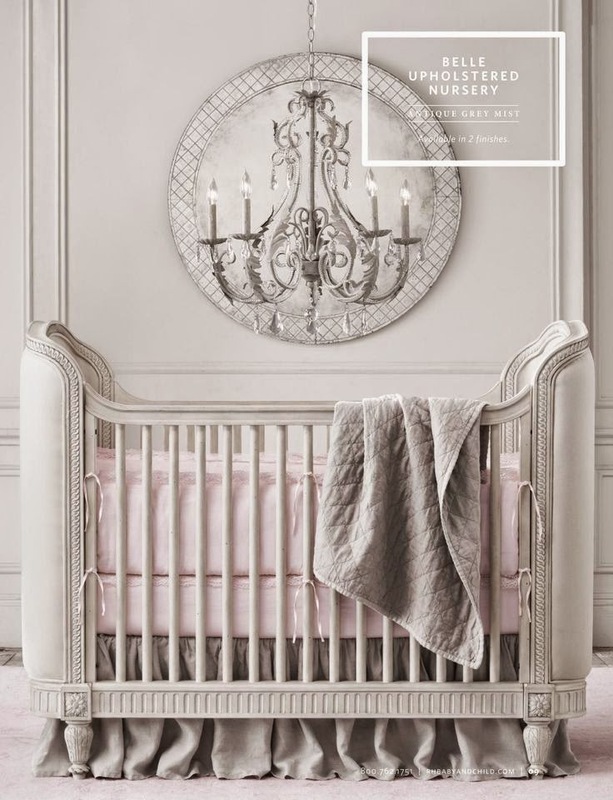 I somehow made the mistake of discovering Restoration Hardware Baby & Kids. I'm in love with all of it, problem is it is ALL out of my budget, but it does make for some great inspiration. 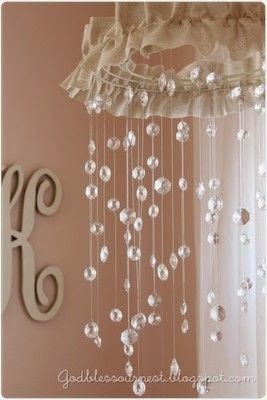 I am loving all the neutrals and plan to go with a lot of whites and grays with using a petal pink as my accent color. I even picked up a few first pieces to go in the nursery this weekend. It may only be a throw pillow and some storage baskets, but it's a start! We will definitely be constructing this room on a budget, so I'm excited to see what I can do to make it look as glamorous as all my inspiration, stay tuned in to see the progress. Registering is so fun and so overwhelming at the same time! Nursery planning and decorating will be so fun! I just love all these inspirations – especially that first one! All of this is so gorgeous! I am just over 20 weeks and feel like I'm in the same spot you're in. As soon as we found out what we were having on Sunday we went out and did some registering, but that is definitely going to take more than one trip! I love the inspiration you found and can't wait to see it all come together! Wow! Beautiful inspiration!! You're right, RH baby is unfairly expensive! But I think you can probably recreate some of their looks for less! I cannot wait to see!!!!! You need to get the "Baby Bargains" book....it's not really about bargains so much as it is brand/product reviews that tell you which product is the best bang for your buck. Be sure to get the most recent one because they release a new version every 2 years. Oh my goodness, I'm in love with all of these photos! 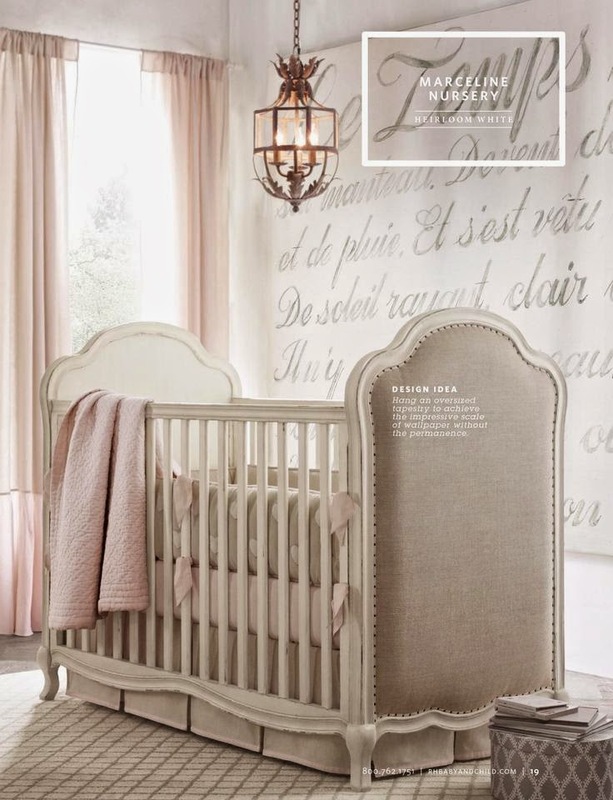 I know you'll make the nursery something as beautiful and chic - your little girl will never want to change it! Beautiful inspirations! You will create a haven for your angel I am sure and we readers can't wait to see it!!! You are One gorgeous pregnant mama! I don't remember looking that good! You are spot on with the overwhelming! When we went into the store we left with like 10 things on our registry, now I'm slowly going through the checklist and home and adding things online and it's much more fun! Thanks Libby! Congrats on finding out your having a little girl also - it will be fun to see what you do for her! The registry process is definitely that, a process. . . it's crazy all the things you need. I don't even remember how I stumbled upon it, but I so fell in love with RH baby the moment I saw it - I'm excited to get started on my look for less! Thanks for the recommendation - I will be jumping on that, seriously there is so much stuff to know, all of which I feel I know nothing!! You are so sweet, I can only cross my fingers that my vision will come to life! You are so sweet, thank you so much! I will definitely be keeping the nursery progress up to date on the blog! 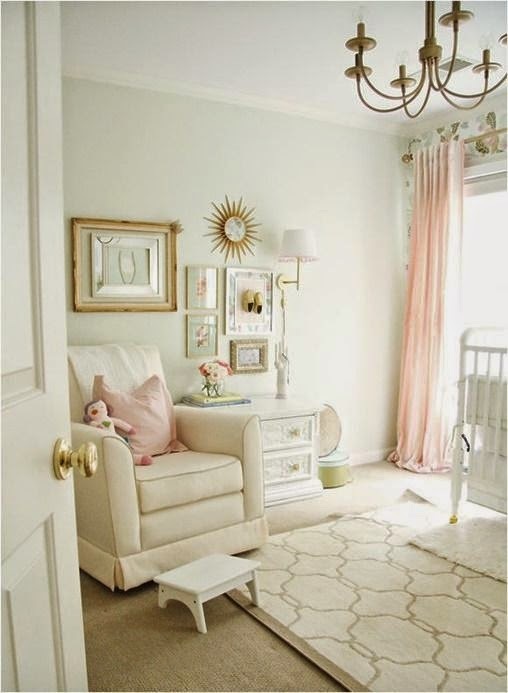 Is it bad that I only want to have a baby so that I can decorate a nursery? Okay, kidding. But not really. Good thing I'm nowhere near that milestone in life haha. I'm obsessed with all things Pottery Barn and that's absolutely all out of my budget as well. Why is it all so crazily expensive and WHO on earth can afford it all?! Right?! Seriously - I'm jealous of those who can because it's all so beautiful! Now it's time to get creative so I can still hopefully have a similar look for WAY less!